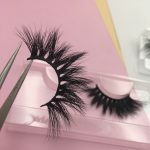 The mink lashes produced by Qingdao Shalimar Lashes are professional Cruelty Free Siberian Mink Lashes Wholesale Vendors Wholesale high-end luxury mink lashes. Each mink hair is carefully selected. After high-tech processing, in order to make each pair of Wholesale Mink Eyelashes realistic and natural, each mink hair has a hairy tip. Because the length of the mink hair is limited, you can’t do as long as you want to make it like a chemical fiber. You can use your hands to tie the mink hair to the eye line.The length of the mink hair of the mink determines that the eyelashes of the mink have to use another process to stick the mink hair to the eye line, while the surface of the animal hair is oily and the glue is difficult to penetrate. Qingdao Shalimar Lashes glue is developed and patented by the postdoctoral Xiaolong Sun from the United States. Our glue is healthy, odor-free, soft and durable. But even then,Because the mink hair is stuck, Can’t pull hard of the mink hair , and you can’t force the roots of the hair. In the selection of the Siberian Mink Lashes made by Qingdao Shalimar Lashes, you must use good glue to stick the eyelashes. The best eyelash glue is DUO. You can also choose the glue we have picked. When taking the Wholesale Mink Eyelashes from the eyelash holder, we have already reserved a line of eyeline for the worker. You should use the tweezers to hold the extra eyeliner, gently remove it, cut off the excess part, and try to choose a gap when cutting. The local cut, do not choose to arbitrarily cut in the place where the mink hair is too much, cut in the place where there are many mink hairs, some mink hairs also fall off, this is normal. Don’t worry too much. The rest of the mink hair is still strong. Will not affect the effect. When the Wholesale Mink Eyelashes are removed, use a good unloading glue to gently wipe off the glue remaining on the roots of the 16-25mm Mink Strip Lashes. Do not rub hard! Can’t tear it hard! When the Wholesale Mink Lashes are removed, be sure to put them on the original support, keep the eyeliner soft, and bend the shape. Do not throw it casually. Dear Wholesale Mink Strip Lashes users, the more expensive things, the more they should be well maintained, so they can be used for a long time. You don’t care for him, it won’t love you. Just like silk clothes, Rolls-Royce cars, You have to be careful to use it more and more easily, and more and more to reflect value. Do you know Why Are The Eyelashes You Sell Being Returned By The Customer? 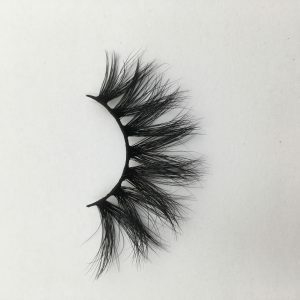 Why are the eyelashes you sell being returned by the customer?